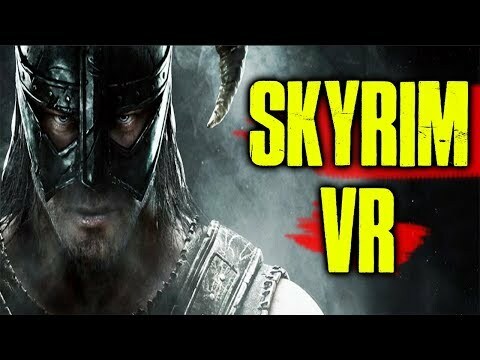 Skyrim VR -- please, please work. Hello, I just bought it and I'll be working on getting it working soon. I haven't even been on my Omni for months. I got a new addiction to TheWaveVR I was almost over it and then they started a Resident DJ program and invited me into it. It's been taking all my free time but I'm gonna make time for Skyrim regardless. After my show this week I'll find the time to get started on this. So is this method still working for other games such as Fallout 4 VR? I thought it worked with Pavlov except that game has some strange double tap run or something which made running a no go. I don't personally have the game so I'm just going off what I've been told.. I guess no progress has been made on another solution? What about that guy that people gave money to get his driver on steam? Nah I was talking about this http://forum.virtuix.com/discussion/3128/openvr-omni-overlay/p1 I looked it over doesn't look like he has made much progress since I've been gone. However yes if the issue is solely due to a OpenVR-InputEmulator conflict. Then matzman666 will probably be needed to fix the issue. I think his updates for Fallout were just for Oculus users due to the game not supporting the touch controllers. Hi guys. I’m about to try to apply this hack, but thought I should ask first if it still works, and which version in this thread is the latest. What do you think? Should I hold off, or install now? Is this method still confirmed as working? Can't seem to get any locomotion with Vivecraft, at least, using the legacy instructions from Virtuix. VRZ requires omniverse which I don't have (yet). I read somewhere that SkyrimVR comes with keyboard support. As in WASD. Can anyone confirm it works with the zombie? Yes, Keyboard is working for me when I press the wasd keys in motion controller mode. I haven't Omni'd it yet tho. It supports gamepad (you can find it in the menus), but in the menu it's gamepad OR motion controller. I do wonder if we could put a hotkey on something that would let us switch between the two. For example, any time the Omni starts moving it switches to gamepad mode. When the omni stops moving, it switches back to motion controller. Let us know if you get up and running in Gamepad or Keyboard mode! Skyrim VR is working in keyboard mode in the Omni software combined with the SteamVR beta (haven't tested non-beta yet) along with motion controller (Touch). Fallout 4 VR still needs EVOL's method; it won't work with keyboard or gamepad mode alone. It also needs to be in the "Steamvr inputemulator - temporary beta". Moreover, matzman666's inputemulator 1.2 is working for me and not 1.3: it crashes steamvr. For me anyways, I have to switch all of these settings depending on if I want to play Skyrim or Fallout, but it's worth it. He responded to my question about setup with: "it's a prog currently in beta. Am helping test it. Once it's out I'll help spread the word.﻿"
Not very detailed or helpful kind of at a stand still, and it sounds like it is some sort of proprietary program making it all work. I believe - based on another post from Skaarah, that this is same as OpenOmni. I asked Ragtagg if that was the case. Ragtagg is The Man!!! Thanks!